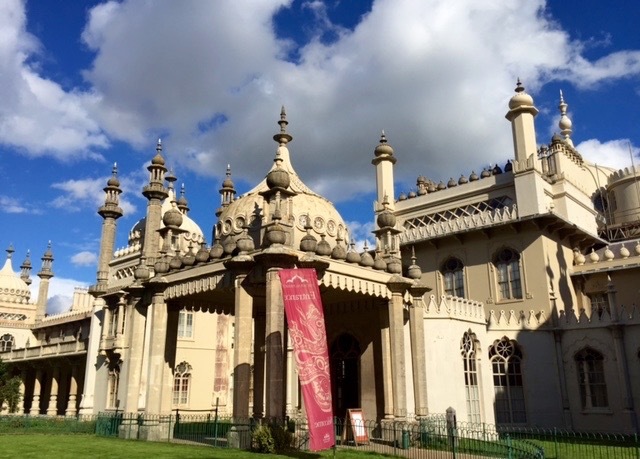 If you only have time to visit one thing: The Royal Pavilion in Brighton. This is going to be a great weekend for the Japanese here in Brighton. Not because they will be playing the South African team in the Rugby World Cup game tomorrow at American Express Brighton Community Stadium. That might be the worst thing that will happen to Japan here this weekend. The Lanes in Brighton. 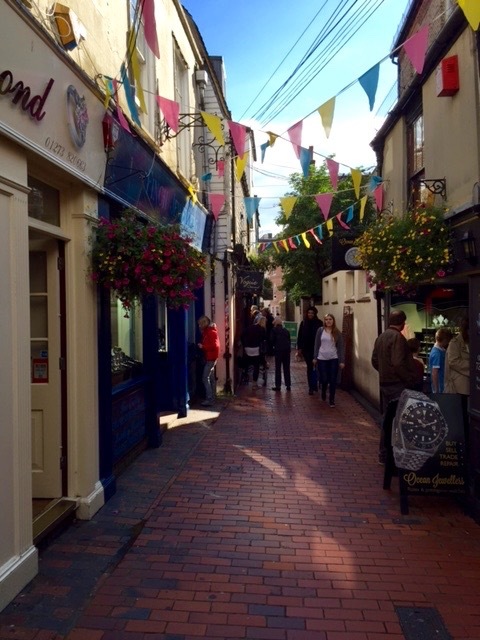 A warren of cobbled streets and hanging baskets and hundreds of little shops. The good things will be the Costume Games and the Brighton Japan Festival, which celebrates Japanese traditions as well as modern culture. It ends on Sunday. The festival is the birth place for Brighton’s annual Costume Games, also going on this weekend. It’s a five-day gathering of people dressed as their alter egos with a parade on Saturday night down Madeira Drive, the street along the coast here. Despite RWC teams from three other countries playing in Brighton this weekend, tourist officials here are expecting the Japanese to be the largest group of foreign visitors to the seaside city. Charlotte Barrow, marketing officer for VisitBrighton, said they have hosted several Japanese travel agencies recently and been visited by NBC Broadcasting. She said Brighton is expecting a residual effect from the Japanese visitors here this weekend and from the broadcast of the games in Japan. “People will see it on TV or hear about it from their friends who came here and want to visit themselves,” Barrow said. But about that game on Saturday. South African team members were very polite and probably overly kind when talking about the Japanese team at a press conference today. There was nice-nice talk about Japan having a strong team that would give the Springboks a tough test. My prediction is that they will exploit them to the tune of a 76-10 victory. But the Japanese will always have Brighton. Gotta run. England vs. Fiji is about to start. My prediction: England 21, Fiji 14 and England will lose at least one key player to injury for the tournament. My other prediction for Brighton this weekend: USA 9, Samoa 7. We’ll see.